Good morning Modern Irish Quilters! We have a great opportunity as a guild to create a donation quilt so I hope each and every one of you will participate. The lovely Anneliese of Mail from the Cheeky Monkey has offered to create a donation quilt from blocks made by MQGI members. I will leave it to her to give the details (below), but please do take a break from your SMS Giveaway day blog surfing to make a block or two. Don't forget to add photos to our flickr group as you go! Thank you, Anneliese, for creating such a great opportunity for us all to get involved in the greater Irish community. Some weeks ago I blogged about my table runner for a friend. She still loves it and I am so pleased with the comments to my WIP blog post. Thank you! Today I want to tell you something else. I am Bee Queen in the Modern Irish Bee in May. Oh it is so exciting to be Queen! Did you ever plan a (Bee) Quilt? I haven't. It was exciting! I need to find the pattern, calculate the fabrics, precut and sent them out. It is a struggling process when you have to stick to only one pattern. I found so many quilts I love and I would be so pleased to have them all. Sticking to one 'thing' is not one of my strongest sides but I did it! 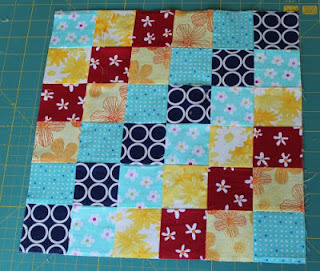 I cut the fabrics, made a sample block and sent the instructions out. But there was an other idea in my mind! What about making a charity quilt? As it is my month I would ask the bee ladies to make an extra block and I finish it to a quilt to give away. After a little chat with Cindy and Sarah we thought we would love to make this a project of the MQGI. So here I am! I am asking all of you to join and be part of this quilt. I chose the 'trip along' block. It is simple, it is fast and most of all it is fun! There are many ways to do this block but this is the tutorial I used. I found it super fast and super easy. 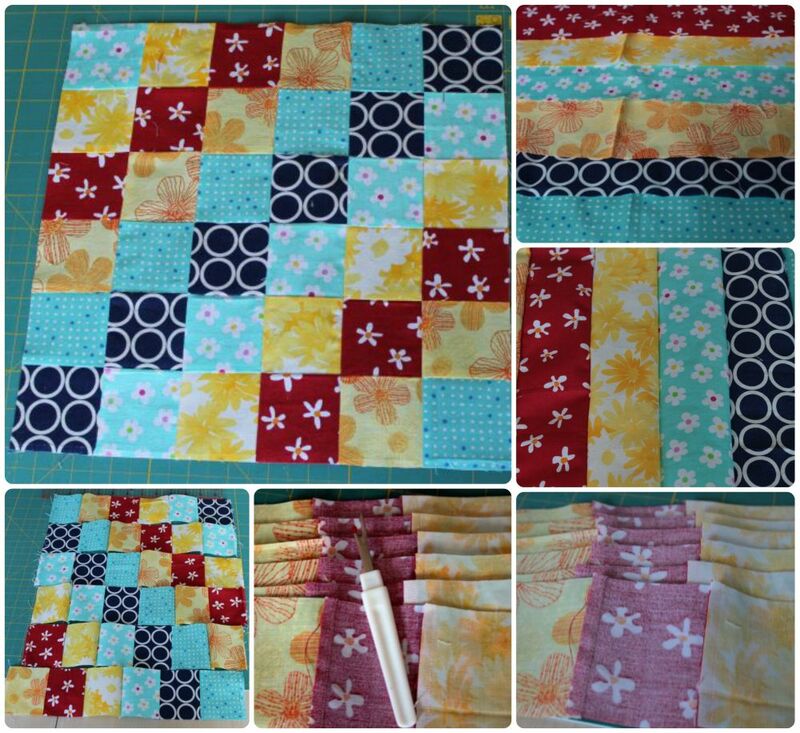 I so hope to get the eleven blocks for one quilt done. I also appreciate any help with scraps for the back or the binding. I hope to make at least one quilt.